Could you be a Community Champion for Youth Cancer Trust? The Youth Cancer Trust is looking for volunteers, of all ages, to help build a network of motivated Community Champions around the UK; these Champions will be required to recruit teams of volunteers from their local community, friends and family, who wish to help support teenagers and young adults with cancer, by raising awareness and fundraising through organising small events in their local area, such as coffee mornings, fun days, dog shows, etc. The Youth Cancer Trust, founded in 1997, supports teenagers and young adults, aged 14 to 30, with cancer from across the UK and Ireland. 1. To help raise awareness of the Youth Cancer Trust and its services. 2. To help raise funds for the Trust through organising local fundraising activities to help its continuing support of teenagers and young adults from your area during their cancer journey. The Trust will provide support with everything you need for your community activities, such as leaflets, videos, posters, invitations, banners, etc. We understand that everyone has other commitments with work and family so there is no pressure in terms of time commitment in being a Community Champion. Volunteering is flexible and should fit in with your life. 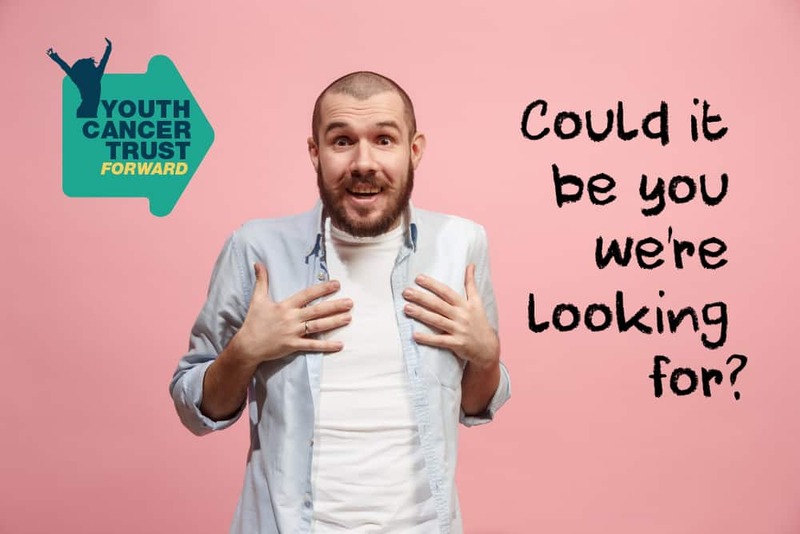 If you are interested in becoming a Youth Cancer Trust Community Champion in your area, please email Derek with your name, address and phone number.